The Finnish Transport Infrastructure Agency has appointed technical, legal and financing advisors for its Hailuoto Causeway public-private partnership (PPP) road and bridge project. The tender notice has been issued for the detailed design of a new Centenary Bridge in Queensland, Australia. 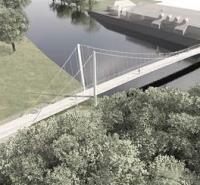 Cambridgeshire County Council in eastern England has awarded the contract for detailed design of a suspension footbridge whose concept was developed by Knight Architects. 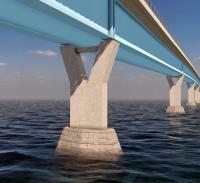 The USA’s Federal Highway Administration has approved a proposal to build a new bridge between the North Carolina communities of Aydlett on the mainland and Corolla on the Outer Banks. The design and proposed construction method have been published for a new pedestrian and cycle bridge that will be built in Newtown, Wales. 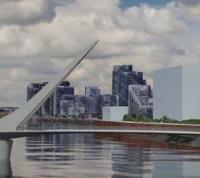 The winning design has been chosen for a new road bridge in Hamburg, Germany. 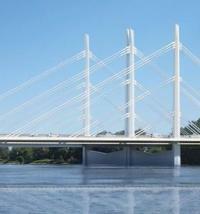 The city council in the US city of Salem, Oregon, has decided that it doesn’t want a new bridge. Fourteen potential routes have been identified for a new crossing to relieve congestion on the 6.9km Chesapeake Bay Bridge in the USA. 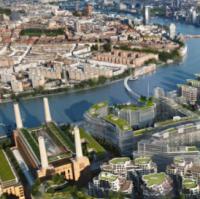 The preferred alignment has been identified for a new pedestrian and cycle bridge over the River Thames in London, England. 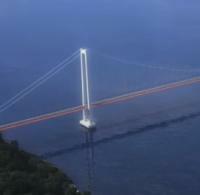 Chile’s Ministry of Public Works has approved the definitive design of what is set to be South America's longest suspension bridge. 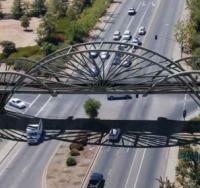 California Transportation Commission has approved funding of over US$12 million towards the cost of a US$15.5 million bridge whose design will echo trees and bicycle wheels. 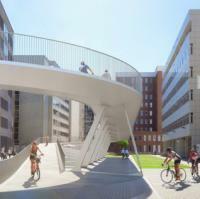 The city of Antwerp has approved the construction of 140m-long steel structure designed to give cyclists better access to a bridge that has proved very popular since its opening in 2017. 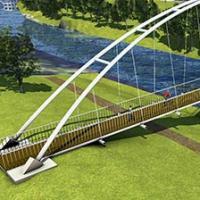 Glasgow City Council in Scotland has unveiled images of a planned pedestrian and cycle swing bridge. Aberdeenshire Council in Scotland is planning to issue a tender for a study into a proposed footbridge, including the development of outline designs. 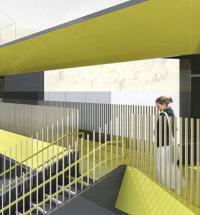 The winning design has been chosen for a footbridge that could be used across Britain’s rail network. 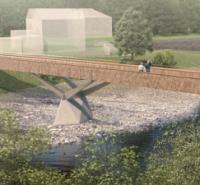 The timber-clad pedestrian and cycle bridge has been designed to complement a nearby medieval bridge. 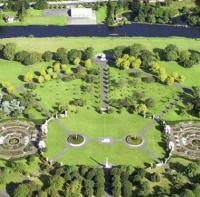 A design competition is set to launch next week for a commemorative bridge to improve access to the Irish National War Memorial Garden in Dublin. 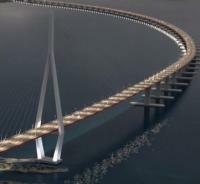 The Norwegian Public Roads Administration has appointed two independent teams of designers to determine the best option for a 5km floating bridge. Copyright © 2019 - Hemming Group Ltd All rights reserved.